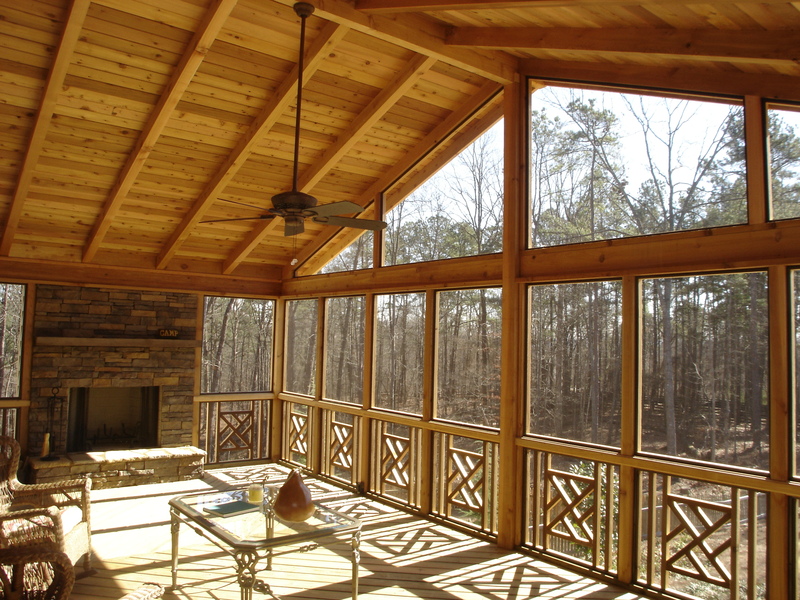 Here are top reasons why consumers add screen porches to their homes. 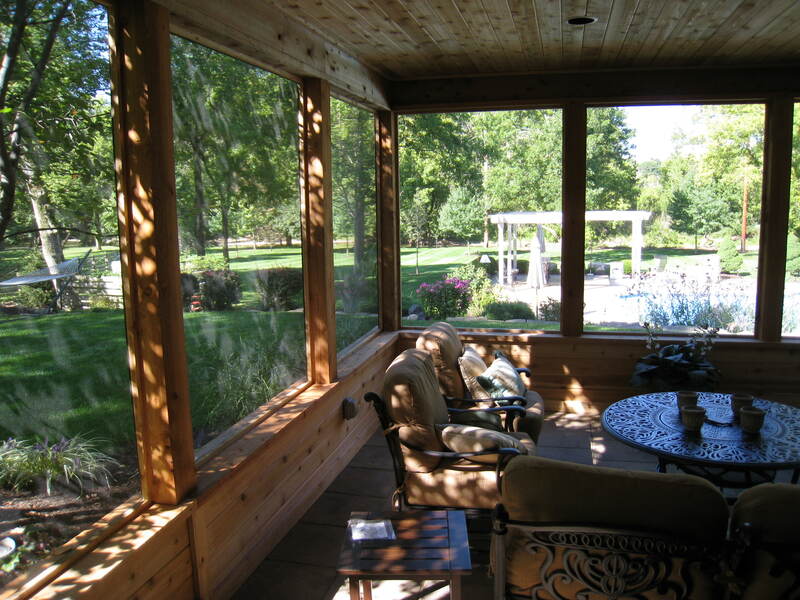 What is it about Screen Porches? I dont know anyone I’ve ever met whom didn’t enjoy the setting and atmosphere of a porch. For me it was indoctrination. We have a cabin in Canada that my grandfather built in the late 1930’s. There is no better place than sitting on that Screen Porch. The view is spectacular, but the fun part is watching all the bugs fighting to get in from outside. If you have ever ventured up north, they are more mosquitos than maple leafs! I always ask folks why they are interested in adding a screen porch. Most of the responses are similar to my story and the main reasons are listed above but many more exist. Give us a call should you wish to explore the options! Decks and Outdoor Living Projects are still a good investment! Outdoor living has been the investment homeowners have persued over the past 5-10 years. Studies over this period have shown outdoor living projects have matched or exceeded kitchen and bath improvements in returns on investment. With the recent decline in our economy, we are all re-aligning our portfolios, saving more and spending less. My wife and I have adjusted our lifestyles as well. We are eating out a lot less, circumvented vacations with “staycations”, and overall, are much more conscious on how we spend our income. The economy has certainly affected our business as well. Although we are in construction, I am most thankful that we are not homebuilders or operate a lumber yard. With the plethera of home inventories, this segment has sufferred significantly. Remodelers however, have not sufferred as extensively. Lately, we are beginning to see an increase in interest in homeowners whom have no plans in moving and want to find a way to secure thier home investments. The 2009-2010 Cost vs. Value report published by Remodeling Magazine evaluates returns on investments for various home improvement projects based on regions of the country. Specifically decks, like other home improvements sufferred in 2007-2008, but indicators are improving. Feel free to review the article. In order to assist you with this analysis, keep in mind the percentage listed on the return is the amount of money you would potentially get back if you sold your home within the 1st year after completing the project. For example, in the East North Central Region (which includes Ohio, Indiana, Michigan, Illinois and Wisconsin), if you spent $15,620 on a composite deck, you would potentially get back 62%, or approximately $10,000 back if you sold your home within a year. Naturally the longer you stay in your home, the percentage should rise accordingly each year. Feel free to contact us should you need assitance.